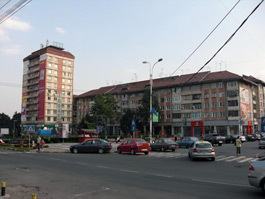 Suceava city, best known for its touristic achievements, lies on the European Road E85, 433 km away from Bucharest (a distance which is usually covered by plane in only an hour). 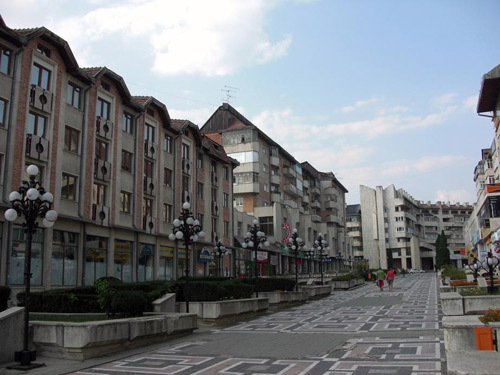 Mentioned in documents for the first time in 1388, during Petru I Musat’s reign, Suceava was for a long time the capital of Moldavia, reaching prosperity during Stefan the Great’s reign. The Throne Fortress. 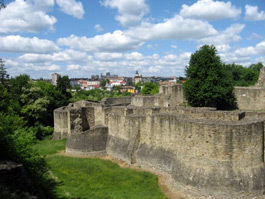 Situated on a high plateau in the Eastern side of the city and restored in the last years, the fortress is a foundation belonging to the voivod Petru I Musat. It was mentioned in documents for the first time in 1388 and it was built of stone in the beginning, but afterwards the fortress was surrounded by lofty walls( over 10 m tall and almost 4 m thick), which make it impugnable. The Ruins of the Royal Court. Over the ruins of a wooden palace dating Petru I Musat’s reign, voivod Stefan the Great’s founded a stone edifice. 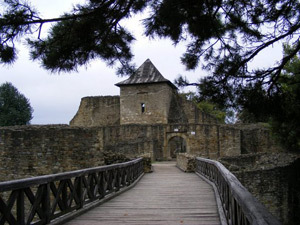 It was rebuilt later by Vasile Lupu. Today, one may see there traces of some chambers and cellars. The Equestrian Statue of Stephen the Great. Tee work of Eftimie Barleanu sculptor, revealed in 1977, on the height where the Suceava Fortress dominated the town. The Science of Nature’s Department. The Science of Nature’s Department, shows paleontology collections, the flora and the fauna from that region. In the same building, the Plastic Arts Section is opened. Popular Art Museum. Opened in the former Royal Inn, built sometime in the end of the 15th century. Nowadays it has been restored and holds collections of ethnography and popular art. Mirauti monument of medieval architecture. This is one of Petru I Musat’s foundations(14 th century), rebuilt completely in the 17th century. In this edifice, the rulers of Moldavia used to be crowned. 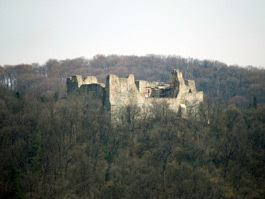 Scheia Fortress. Situated at 384 m altitude, in the North-Western side of the city, the fortress was build in the 14th century, having the shape of a rhombus. The medieval architecture monument. Being Petru Rares’ foundation, it holds in its yard a tower that is 30m tall, tower that was built by Alexandru Lapusneanu in 1561. The symbol of old Moldavia is carved on one of its walls. 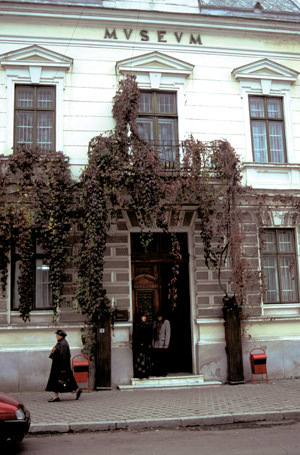 The District Museum – Suceava. The District Museum. Established in 1900, it presents interesting items which conjure up the past rich in events and the heroic deeds of the inhabitants of these lands. Greater importance may be given to the throne hall, which actually reconstitutes the same environments that used to be at Stefan the Great’s royal court (costumes, furniture and so on). The Natural Sciences Section exhibits paleontology collections, the flora and fauna from the area. In the same building, one may find the Plastic Art Section. Petru I Musat’s statue. It is Paul Vasilescu’s work and it lies in front of the House of Culture. The Central Park. 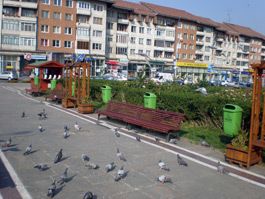 It is situated in the “heart of the city” and holds two masterpieces: Ciprian Porumbescu’s bust(made by sculptor Ioan Cirdei in 1933) and Petru Rares’ bust (realized by Gavril Covalschi in 1977). “Ciprian Porumbescu” Complex of Museums. 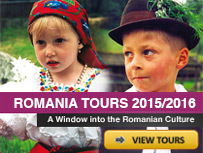 It lies 25 km away from the city following the road DN17 in “ Ciprian Porumbescu “ village. 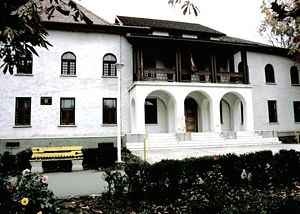 The museum can be found in the building of an old lordly house and in the “Ciprian Porumbescu” Memorial House. St. Elijah Church it was founded by Stefan the Great and lies 1, 5 km away from the centre of Suceava city. St. John the New Church it lies in the centre of Suceava city and it is now the residence of the archibishop of Suceava and Radauti. Patrauti Church Stefan the Great’s foundation(1487), it lies 8 km away from Suceava city. Dragomirna Monastery it lies in the locality named Mitocu Dragomirnei, 10 km away from Suceava city. Unfortunatly..it is not this kind of bus,but you can rent a car or is posbile to buy a little trip by one or two days from travel agency from suceava. I will be in Suceava from 6 July to July 9. 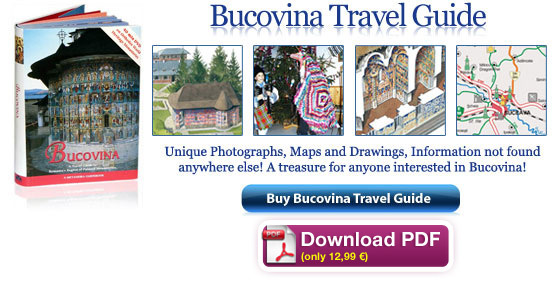 Is there a bus tour I can take to the monasteries of Humor, Voronet, Moldovita, and Sucevita during this time? I want to avoid the cost of a private car.